Talks have broken off between Sony and director David Fincher for a planned remake of Cleopatra starring Angelina Jolie. The studio is now seeking other candidates (including, but not limited to, Brokeback Mountain director Ang Lee – though negotiations have not commenced with Lee, nor has an offer been made). News of the project first surfaced in June 2010, when Hollywood Über-producer Scott Rudin announced that he’d optioned Stacy Schiff’s book Cleopatra: A Life and was developing it for Jolie. In October 2010, it caught the eye of James Cameron, but then 20th Century Fox committed to filming two Avatar sequels. 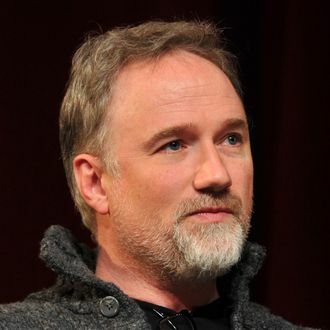 In January 2011, it seemed that The Bourne Ultimatum director Paul Greengrass would direct, but by March 2011, Greengrass was out and Sony began talks with David Fincher, who was just wrapping up The Girl With the Dragon Tattoo for the studio. Fincher’s future relationship with Sony is somewhat cloudy. On the one hand, he delivered the huge hit The Social Network in 2010, which wound up with a nearly identical global gross as Fincher’s 2011 remake of The Girl With The Dragon Tattoo. But Social Network cost $40 million, while Tattoo cost a whopping $90 million, and barely grossed $100 million domestically. As EW recently noted, no Girl sequel is forthcoming in 2013. A Sony spokesman declined to comment on the studio’s hunt for a Cleopatra director, and calls placed to Fincher’s attorney and Lee’s agency were not returned at deadline. In related news, just two weeks ago, NBC gave a “put pilot” commitment – that is, a promise to shoot and not just develop a pilot – for a fantastical update of the Cleopatra tale from Transformers producer Lorenzo di Bonaventura and North Country screenwriter Michael Seitzman. In their TV version, actual history – the queen’s love triangle involving Julius Caesar and Mark Antony – collides with more fantastical elements involving Egyptian gods and monsters.